Is this the most beautiful cemetery in the world? 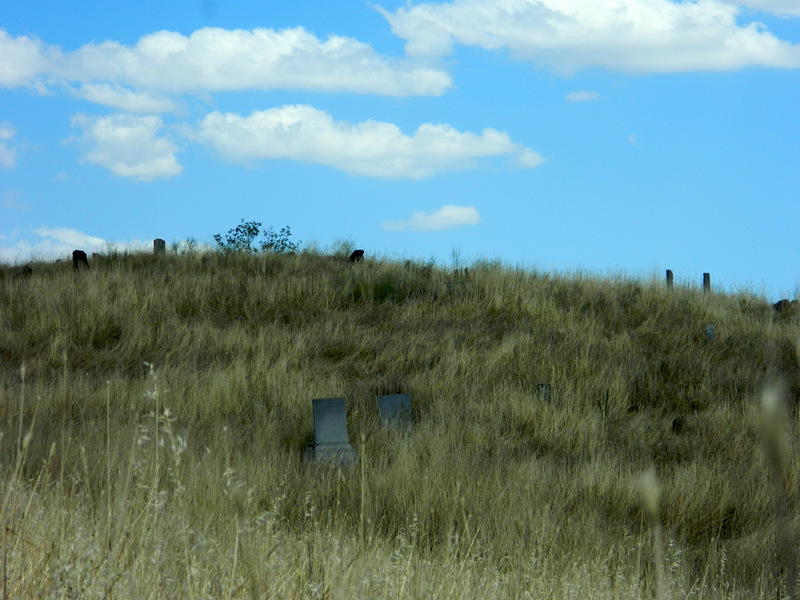 Macedonia is full of cemeteries. Or maybe I just got this impression because every larger town has more than one resting place for its ancestors, always at least a Christian, a Muslim and a Jewish one. The latter hardly have any graves though, because almost all Macedonian Jews were deported to the Treblinka concentration camp by the Bulgarian occupiers in 1943 and were murdered there. Then there are German, French and British cemeteries. I did know that World War I was not limited to the central European eastern and western fronts (otherwise it would hardly have earned the name World War), but I only became really aware of the geographic extent of that war when I saw the 100-year old places where the dead were collected, still strictly separated by nationality, in distant Macedonia. The most beautiful cemetery in Macedonia is the Turkish cemetery in Bitola, dating from the time of the Ottoman Empire and no longer looked after since the demise of that era. If it hadn’t been marked on the map, I never would have discovered it. 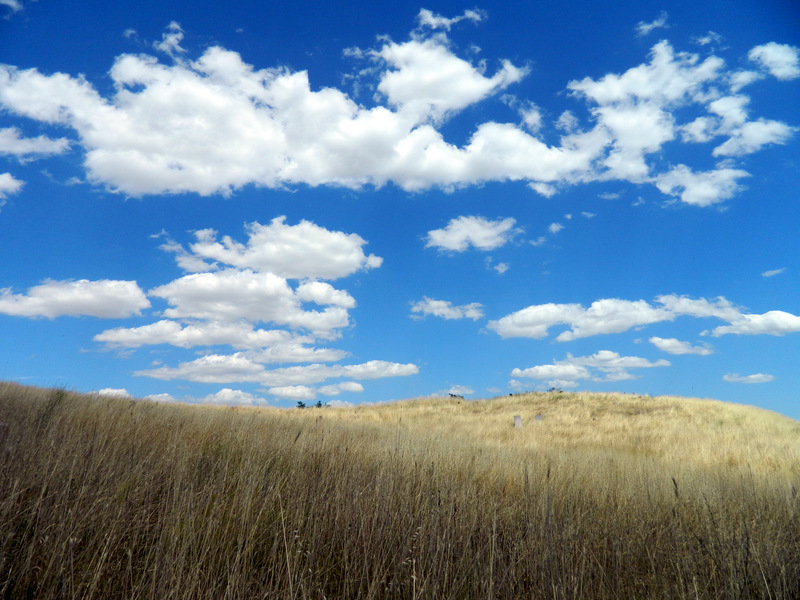 And if I had discovered it accidentally, I would have walked past without paying attention or snapped a photo which I would have published under the title “grainfield with clouds”. 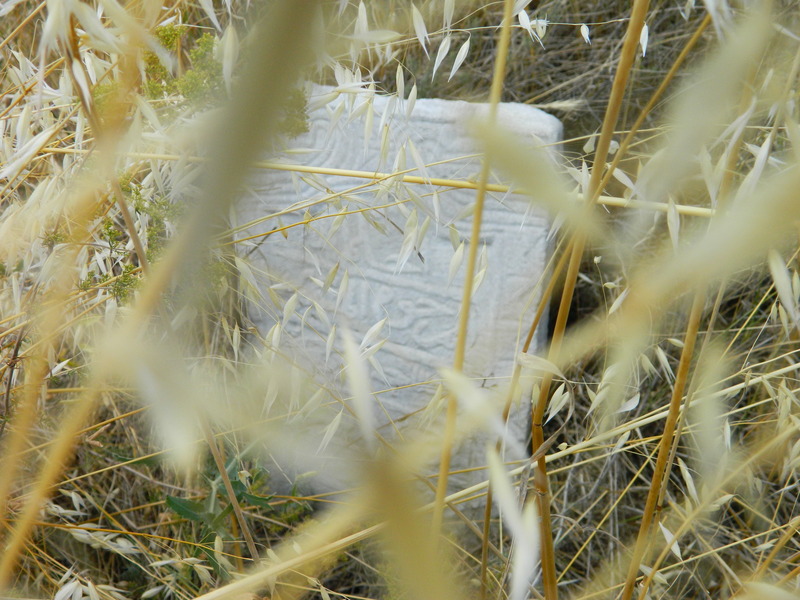 Only at second sight, I could make out a few gravestones between oat and barley. 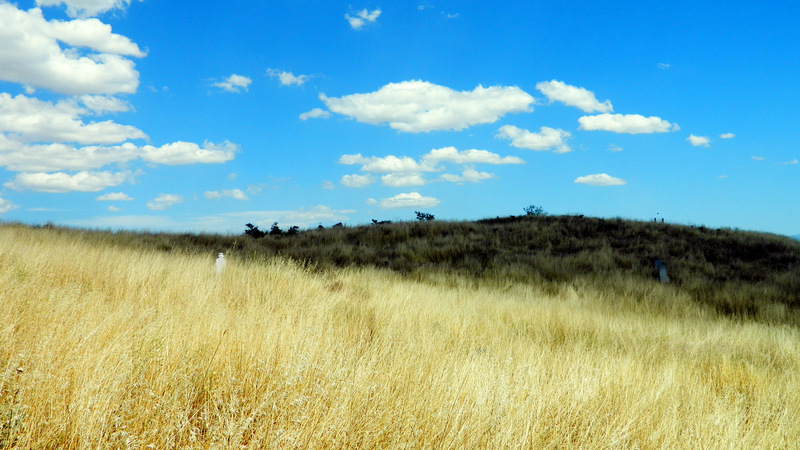 The more I wandered around this wilderness on a hill, the more testimony to the past I discovered, unfortunately all of them in writing which I could not decipher. This Turkish cemetery was abandoned before Mustafa Kemal Atatürk implemented the Latin alphabet. Atatürk himself had probably been on this hill a few times because he had begun his training at the military school in Bitola in 1896. Maybe he secretly smoked his first cigars here. 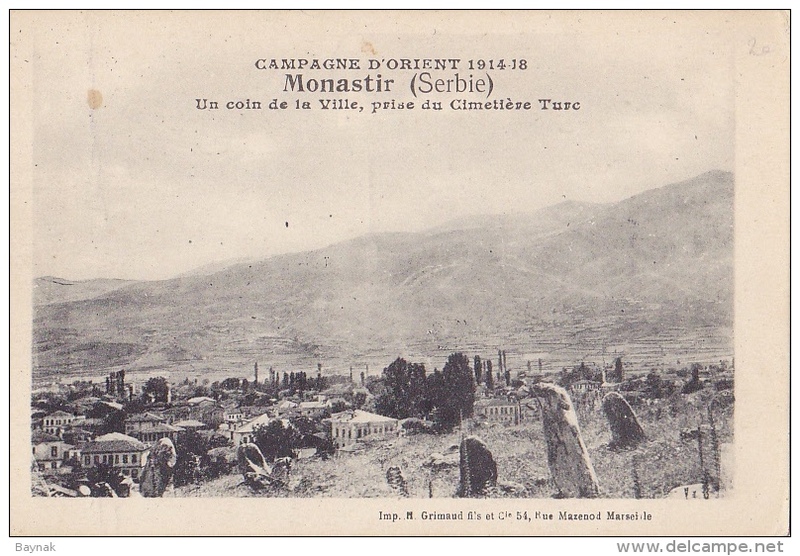 This historical photo from World War I shows the view from the cemetery hill over the city (which is called Monastir in Turkish and Greek). Even back then, you can already see how nature has begun to wrest back control. In this country which has seen a lot of wars, civil wars, revolutions and struggles for freedom in the past 100 years, there is a place where time stands still. The golden cornstalks sway in the wind. The clouds hurry past and cast their shadows, just as history has done from time to time. This entry was posted in Death, History, Islam, Macedonia, Photography, Travel and tagged Bitola, cemetery. Bookmark the permalink. 8 Responses to Is this the most beautiful cemetery in the world? Hello Sir, this is a really superb piece and beautifully written / poignant. It is a real pleasure reading your observations. They are much appreciated. ATB, Graham Penrose. Thank you very much! Your comment motivates me to keep writing and publishing my thoughts. It’s a shame that even in death people want to be separated from others! You are giving me the idea for one central cemetery everywhere without any individual graves, just one nice garden to think and reflect, where relatives can go to if they want. But nobody will have more flowers or a broken gravestone. Everyone will have become part of one human history.